Part of a balanced and healthy lifestyle is monitoring your weight, and as such, every household should have a set of bathroom scales. While you don’t need to be obsessive about weight loss or muscle gain, taking care of how much you weigh and knowing if you need to change up your routine or diet is pretty much impossible without weight scales. There are many different kinds of scales body weight scales out there, and not all of them will give you accurate readings. In order to help you find out which bathroom scales are right for you, we’ve put together this handy guide of the best weight scales for 2019. Mechanical Scales – The good old fashioned scales that you probably had in the house you grew up in. While they don’t have any of the fancy features of the newer digital scales, these are great, no hassle investments that are reliable, durable, and great for giving you accurate readings without the stress of having to work with apps and digital interfaces. Also, you don’t have to worry about them running out of batteries. Digital Weight Scales – For millennial who grew up on iPhones and apps, digital bathroom scales use electronics and fancy sensors to give you lots of different readings, not just your weight. many can also tell you your BMI, body fat levels, bone density and even more. 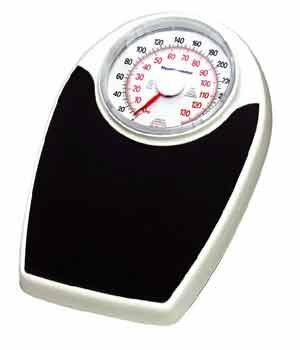 Because they give you such detailed readings, they might be the best scales for weight loss. A lot of these scales also have their own apps, or can sync with popular apps like Google fit, which helps you track your weight over periods of time. 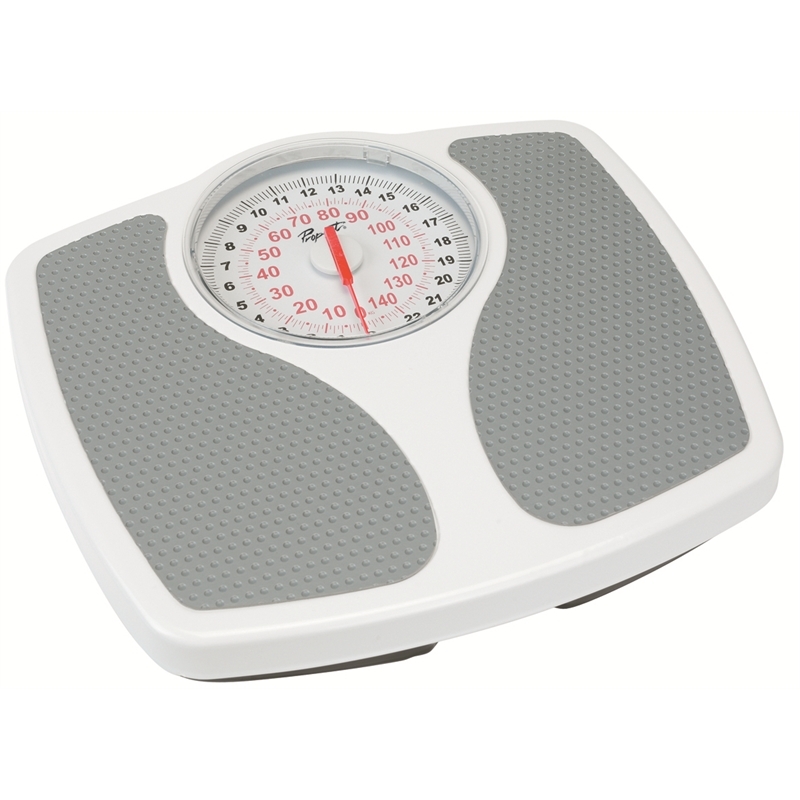 Physicians Scales – These are the professional medical scales that you find in your doctors surgery. They are unique in that they also measure your height as well as your weight. They can be quite expensive, and for normal families they’re kinda over kill. However, if you are a nutritionist or a medical professional, these are the best for your practice. 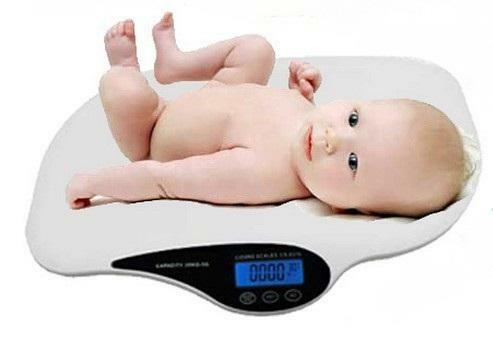 Baby Scales – As many infants can’t stand up to weight themselves, you need a special kind of scale for babies. Baby scales and toddler scales are specially designed so the little ones can lie down in them to be weighed. For most babies, getting weighed at their regular health check ups should be enough, but for infants with medical complications who need their weight monitored every day, a good set of baby scales is essential. A simple set of standard, reliable, old fashioned bathroom scales. It doesn’t do tricks or brush your teeth for you, but it will give you reliable readings every time you hop on it, making it an essential bathroom accessory, especially if you want a scale that weighs in grams. This is a very high quality and durable Mechanical flat scale with a large dial for easy measurements in kg and lbs graduation. It has a precise design and classic design that many of us are familiar with. This is also very safe for your bathroom with its large, low-level, non-slip platform and scratch resistant finish, which makes it easy to step on and weigh yourself. Salter Scales have a reputation as being some of the best weight scales on the market, and this professional scale is definitely no exception. 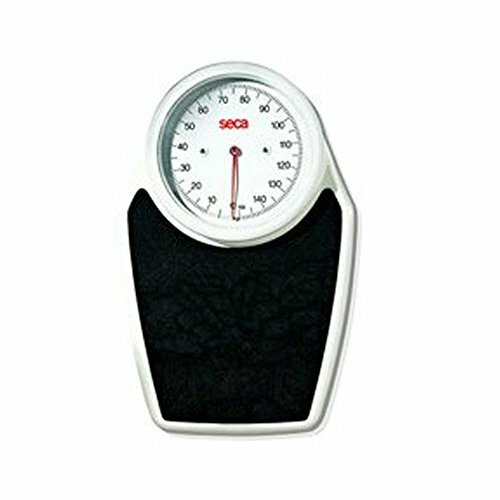 It is a high capacity scales which measures up to 400 lbs. 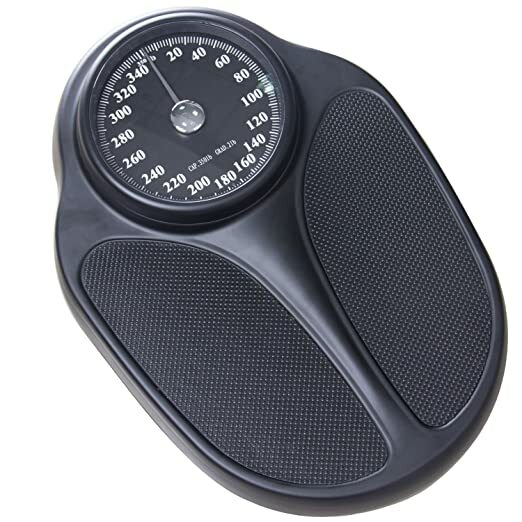 (180 kg), and it features an easy-to-read, 7.5″ mechanical scale dial that makes it very easy to take weight readings. It’s base has a non-slip textured mat to ensure safety, and it is easy to clean. Best of all, this comes with a 5 year warranty. 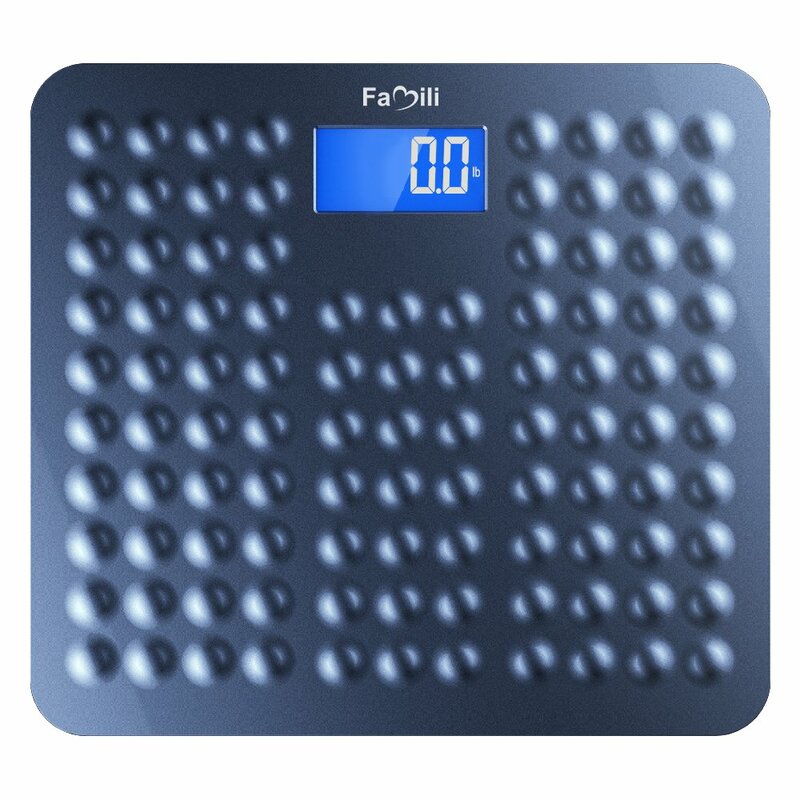 Keep on top of your weight in style and comfort with this excellent bathroom scale. This has a very large and easy to read dial, and its capacity goes up to 350 lbs or 160kg. The platform is 18-inch by 13.4-inch and thus has plenty of room to stand on, and its non-slip mats ensure that you are comfortable and safe while weighing yourself. This is made of stainless steel, making it durable and easy to clean. If you’re looking for the next generation of high-tech scales, then step right up. This digital scale makes very accurate readings, as its 4 high precision sensors measure with graduation increments of 0.2lb/0.1kg. It has a full measurement range of 11-400lb (5-180kg), meaning that its very versatile and useful for all different kinds of families. Best of all, this scale automatically calibrates its self, automatically switches on when you step on and automatically shuts off when you’re done. There’s nothing more to it then that. While this doesn’t have many of the fancy features and modes of other electronic scales, many families prefer this no-fuss design, and it is also much more affordable. 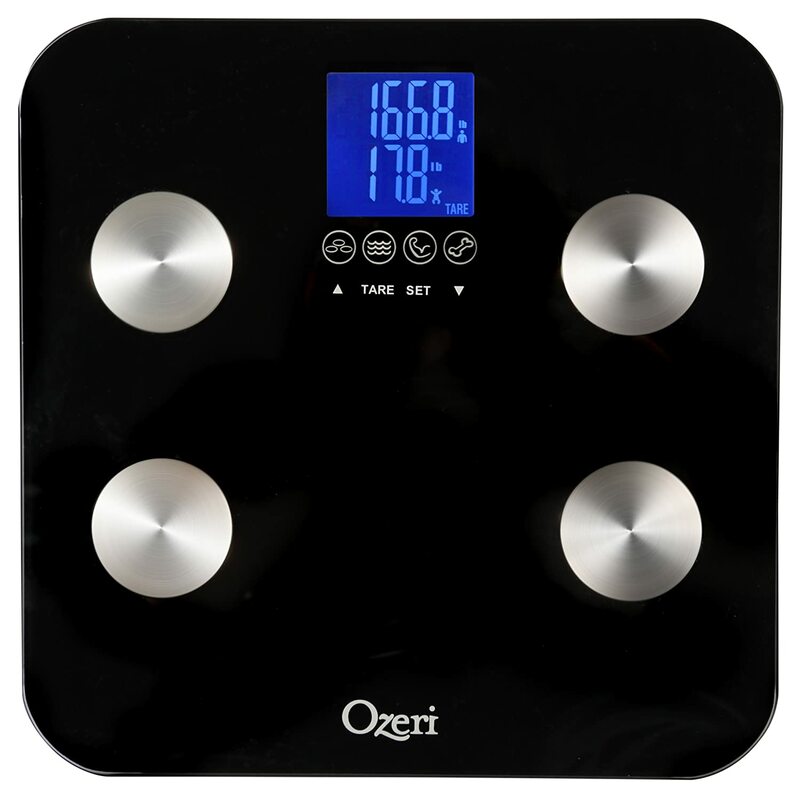 If you are absolutely clinical in your weight monitoring and need to access every single measurement you can find, we recommend this Ozeri Digital Weight Scale. Using the latest technology, this body mass scale measures not just your weight, but your hydration, muscle mass, body fat and more, to give you a detailed and comprehensive picture of your weight. 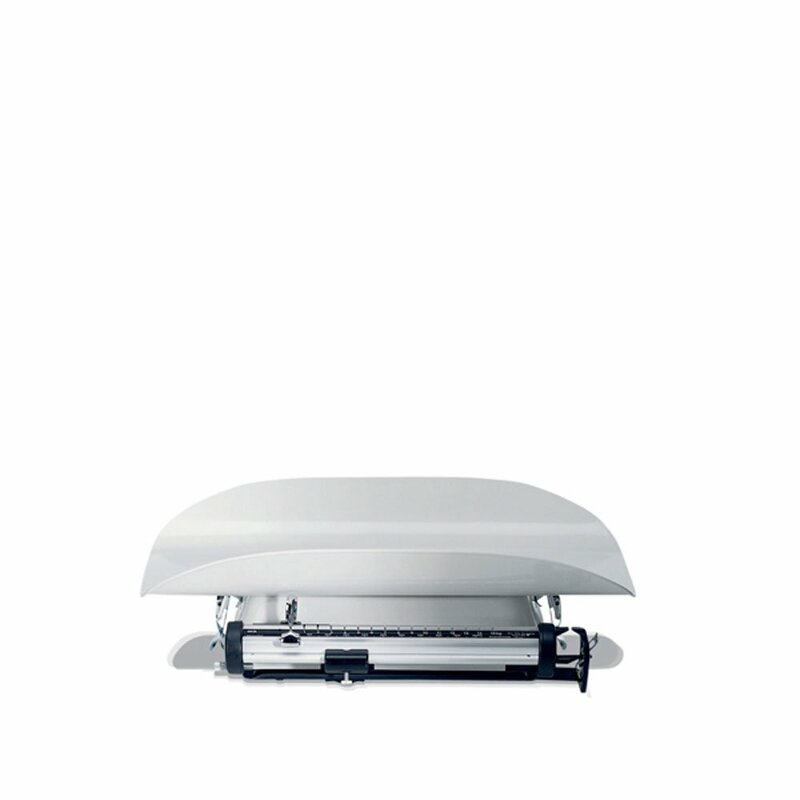 This can be set to store profiles for up to 8 users, so it is ideal for families or offices. Each profile takes into account weight, height, gender and age to help you track your progress over time. This thing even has modes to measure infants and pets! There’s almost nothing it can’t do. Take the hassle and stress out of weighing yourself with this chic and accurate weight scale. Get instant results as soon as you step on with this auto-calibrating digital scales, as its highly accurate sensors give you measurements you can really trust. It has a max capacity of 400 lb / 180 kg capacity, and all readings are clearly displayed in its LED screen. This floor scale is very practical with a thick and durable 8 mm clear tempered glass platform that is very durable and resistant, and it also has great features like auto-on/off, auto-zero, low battery and overload indication. Your family will be in safe hands with this one. 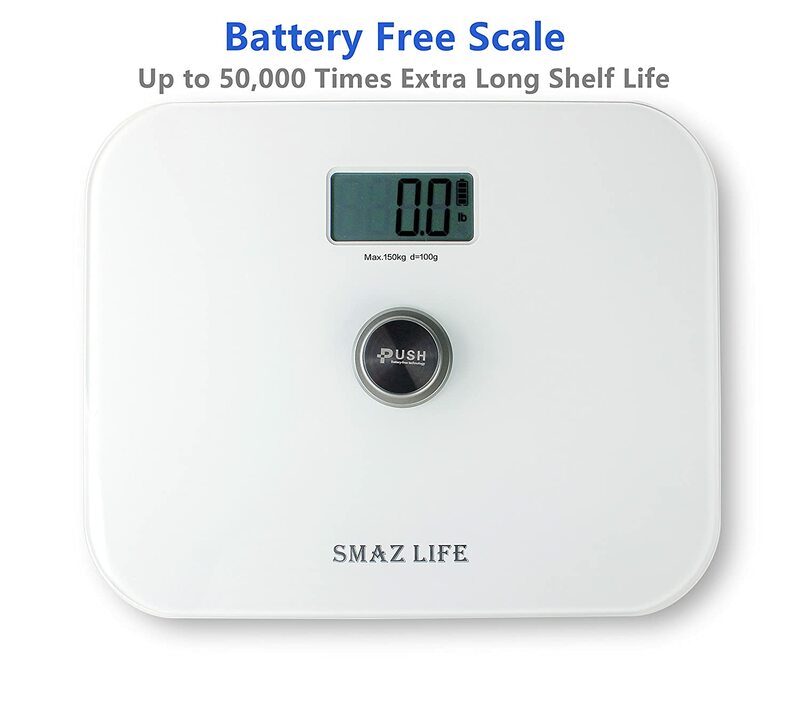 If you need a compact and portable electronic scale that you can take anywhere, this set from Smaz Life is the best one we’ve seen. 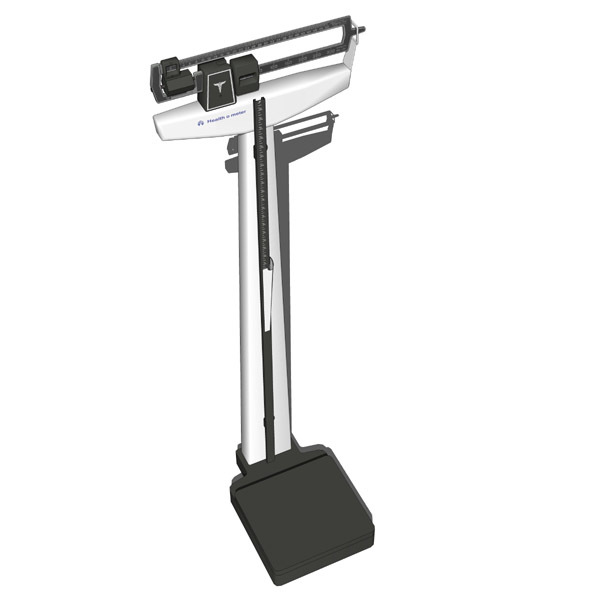 Despite being only 12″ x 12″ and weighing 3 pounds, this thing has a max capacity of 330lb, and is extremely easy to use and very accurate. It also has useful functions like Auto-Power-Off, Auto-Zero resetting, Overload Indication, and a goof back-lit LED screen. Best of all, this things doesn’t even need batteries! Just step on it firmly, and the electronic scale converts the energy into electricity. Now that is cool and environmentally friendly. 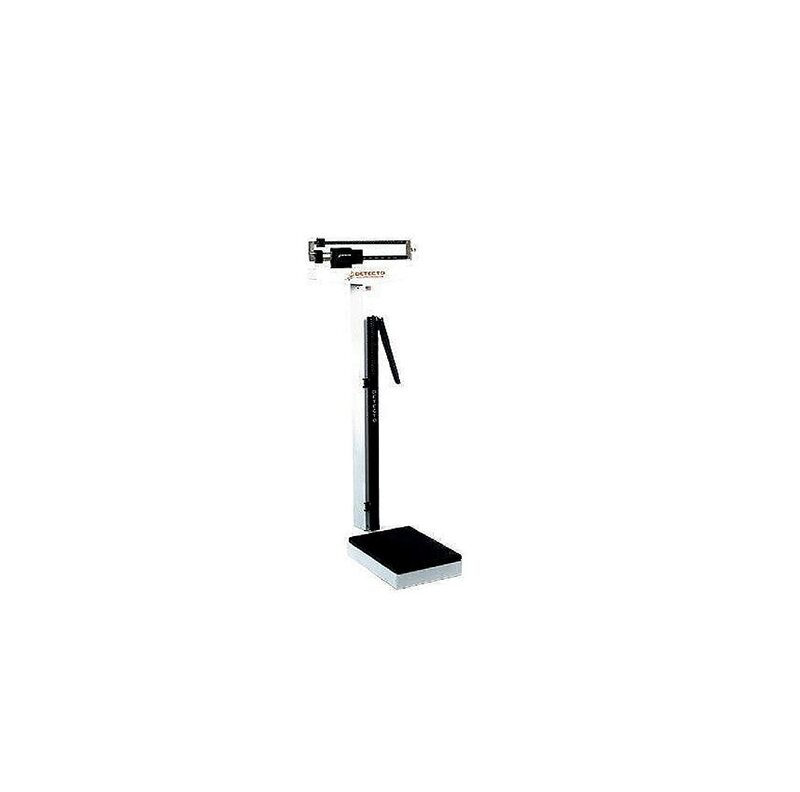 This professional scale with height rod has easy-to-read, rotating poise bars that offer duel reading in both pounds and kilograms. The numbers on the poise bars will last a long time, and it will take a while before they begin to show signs of wear. This scale has a capacity of 390 lb (180 kg) and has already been factory calibrated. The easy-to-use height rod measures from 23-5/8″ to 84″ (60cm to 213cm). As safety is always a large concern with these, you will be pleased to know that the platform has a black nonslip mat. 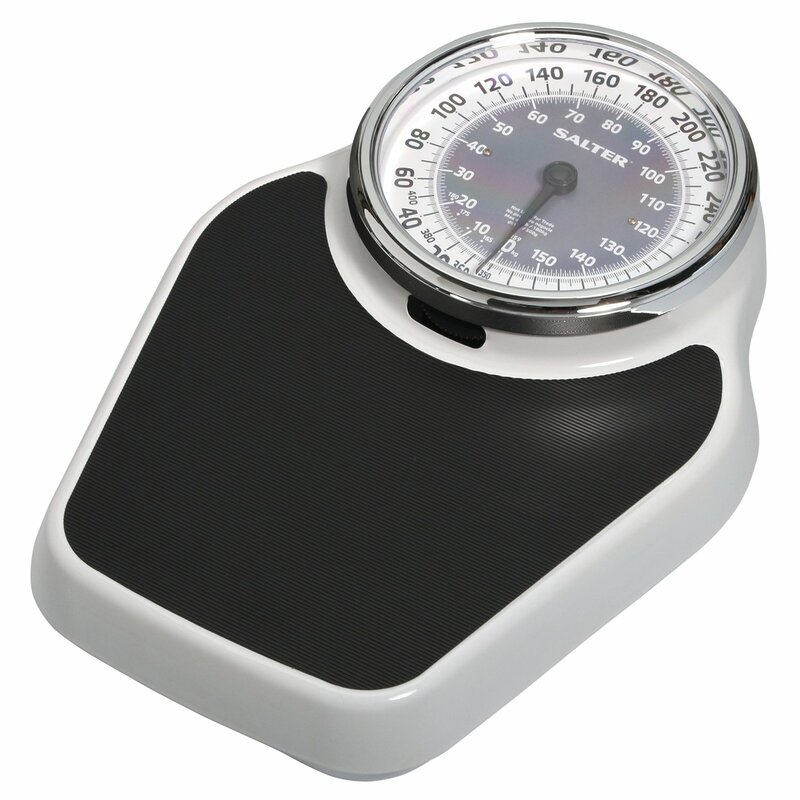 This physicians scale is made of powder-coated steel to prevent rust inside and out for extended life. This is a high-quality and very well made doctors scale that will be idea in a medical practice, gym, sports center or home. This has been made with many handy practical considerations, such as wheels in back for easy transport, and a handpost, which is an important aid for the elderly or weak individuals. The platform cover is easily removed for cleaning. 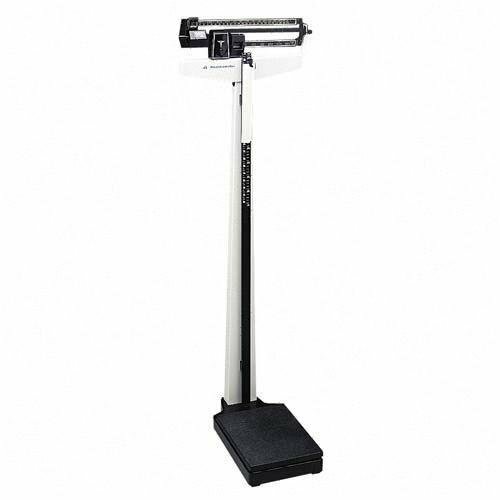 The scale has a capacity of 400lbs and it measures height in in inches and centimeters. If you’re making the huge commitment to buying a doctors scale, you won’t be disappointed with this durable and rugged set, which will last for many, many years to come. If you need a measuring scale that you can use at home for your baby, then check out this one. This is a classic design baby scale with reliable construction that makes this mechanical infant scale a favorite for over 50 years. Its steem platform and cast levers ensure that it is both durable and accurate, and it has a removable tray for easy transporting and cleaning. 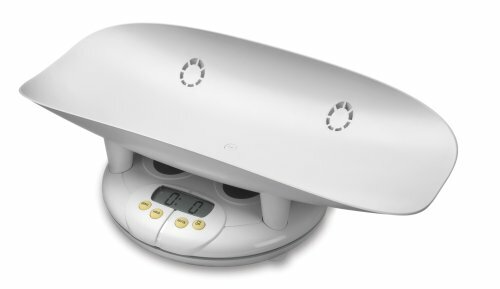 The Seca 725 Mechanical Baby Scale hard-wearing reputation is ensured by the sturdy steel housing and the precise smooth-running sliding weights. However, all of that means nothing if your baby isn’t comfortable in it. Thankfully, its gently sloped tray is nice and cost for your baby, even though they’ll only be in it for a few seconds. 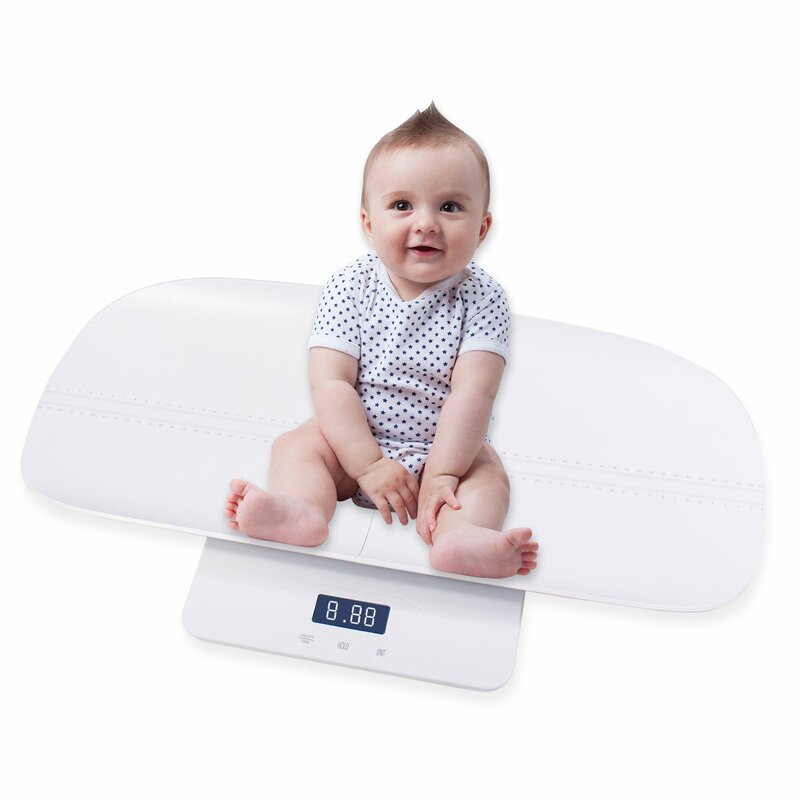 Perfect for babies and toddlers, this scale has an accuracy with an accuracy of 10g and its unique Hold function keeps the weight on display even when your baby moves around, making this one of the best weight scales for infants and also pets. It also has a height measure function to help you monitor your babies growth. The best thing about it is that this amazing scale is not just for babies. Take of the baby tray, and it turns into a handy digital weight scale that the whole family can use. Slater Scales has finally made the perfect scale that grows with your baby. This wonderful digital scale takes the stress out of keeping track of your baby’s weight, and it has a very comfortable plastic scoop for them to lie in comfort and safety while you weigh them. Best of all, once your child becomes a toddler, simply fold up the tray and you can keep using this great electronic scale as a toddler scale. Now that really is value for money. How do you Use a Baby Scale? 1 Set the Scale on good surface – In order to get accurate readings, you want to set your scale on a strong, flat and non-slip surface. Setting it on any kid of slope will give inaccurate readings, and you want it on something solid and non-slip for safety reasons; the surface must be able to support the weight of the scale and baby, and you don’t want your precious child slipping off. 2 Make sure the Scale is Set to 0 – before you put anything in the scale, make sure that it measures 0 without anything in it. 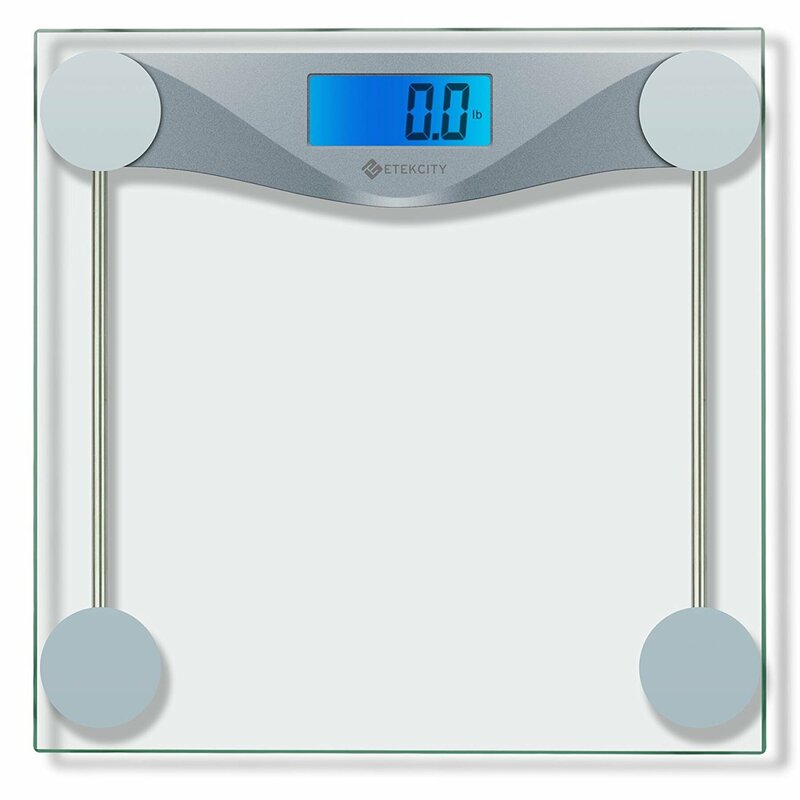 If you are going to put a blanket or towel down on the scale, then put this on and adjust the scale so that it reads as 0 with the blanket on top. Most new scales can do this buy using the ‘tare’ button, which will void the weight. Or, you can take the weight of the blanket and then subtract that from the baby’s weight. 3 Weigh your baby – Gently set your baby down on the scale, and its better if your child is naked so that clothes and diapers don’t mess up the reading. While your baby is on the scale, keep one hand hovering just above his or her chest so that you can easily help them in case they try to get off the scale or they start to squirm, but don’t push them down, as the pressure from your hand will mess with the reading. With your free hand, write down the weight, or, if you have a digital scale or app which records the weight, hit the button to take the reading. Most doctors recommend weighting your child every two weeks, as there can be a lot of weight fluctuation in babies and by weighing them less often you actually get a more accurate overview of their weight gain. How do you Properly Weigh Yourself? Although you may think that weighing yourself is as simple as pie, there is actually a lot of nuance and technique to getting consistent and accurate results every time, and it is snot just a simply case of hopping on the scale every morning. Therefore, it is important to do this in order to both achieve accurate readings every time and also to keep motivated and be aware of the progress you are making. So, here is our guide on the proper way to measure your weight. Put the scale down on a flat, solid surface – You want to have your scale on a flat and hard surface, such as a linoleum or hardwood floor. You shouldn’t put it on anything soft, squishy or any kind of slopes, as this can and will interfere with the readings because you will be putting more of your weight on the side with the slope.. It can also be dangerous to have them on carpets and such, as they might sink into the material and cause you to slip off. If you are having it in your bathroom, don’t put it on bumpy or uneven tiles. Get on the scale – Gently step on to the scale and stand up straight, keeping both your feet flat on the scale and standing normally. Don’t touch or hold on to anything, as that will affect the weight displayed by the scale, and don’t press down with your feet or anything like that. If you’re are on a balance scale, you should slide all the weights on the horizontal rail over to the left after you stand on it. Get off the Scale – Just as you go onto the scale slowly and gently, you should also step off the scale in this way. Jumping off it can actually damage the scales, and you want to take care when getting of so as not to slip or trip and hurt yourself of that hard and flat surface you’ve put your scale on. Slowly step of, one foot at a time. Record the reading. If you are serious about weight loss or weight gain, or you simply want to keep a good track of your health, you really need to record your weight. this will help you see how things are going over a long period of time, and will be a good motivational boost and help with your self esteem as you can see that you are making progress. You can write it down on a piece of paper, or record it on your computer, or put the results into a health app on your phone. If you record the numbers digitally, such as in Excel, you can turn the results onto a graph, which will really help you visualize your weight and your process. When is the Best Time to Take your Weight? Another big question that a lot of people ask is when is the best time to use the scales? As you know, the time of the day can make a big difference as your weight fluctuates during the daytime, and factors such as how long ago your last meal was, how much water you’ve had to drink and when the last time you exercised can all play a big part. Therefore, we recommend that you weigh yourself first thing in the morning, after you’ve relieved yourself and emptied your bladder, but before you’ve had your breakfast and morning coffee. This is because at this time your stomach will be empty and there will be very little excess water in your body, so you’ll get a very accurate reading of your weight. Also, it is very important that you keep weighing yourself at the same time to keep the readings consistent. Imagine if one day you weigh yourself in the morning and then the next day you weigh yourself just after dinner. All that lovely food will still be in your belly and will affect the accuracy of the weight. This can really demotivate you, as you may have acutally lost more weight than these readings show. Also, for the case of those looking to bulk up, this situation would give you the impression that you have added more weight than you actually have. Should you Take your Clothes off Before Weighing Yourself? If you can’t take your clothes off, such as in a gym or in the doctor surgery, take 2kg off your total weight to account for your clothes. There are a few times when you shouldn’t hit the scales, because the results will be a bit skewed. After a workout – you can easily shed a bucket load of water weight in a hard gym session, but remember that H20 isn’t fat, and that water will come back as soon as you have a good drink. This can give you a lower reading than is accurate. Boxers and MMA fighters shed water to make weight limits, but it doesn’t mean anything towards your weight loss. When its your time of the month – This one is for the girls. When you are on your period, your weight fluctuates due to changes in water retention. So skip the scales during this time. After meals – This should be obvious. All those calories you’ve just put in your system will take time to break down, and they’ll bump up your weight readings considerably. 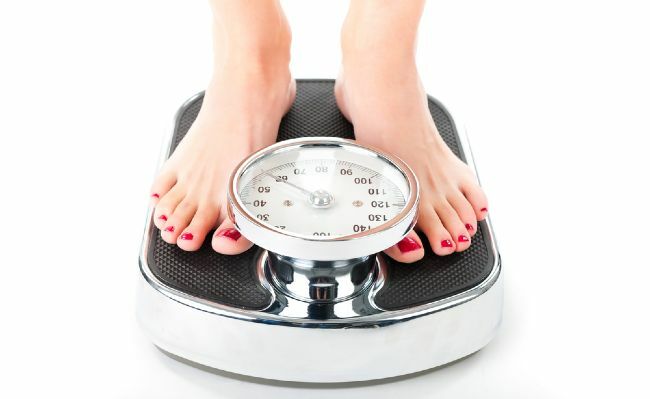 Everyday – Weighing yourself can easily become and unhealthy obsession, and lead to eating disorders. So don’t punish yourself mentally by doing it every day. We think that every couple of days or once a week is fine.